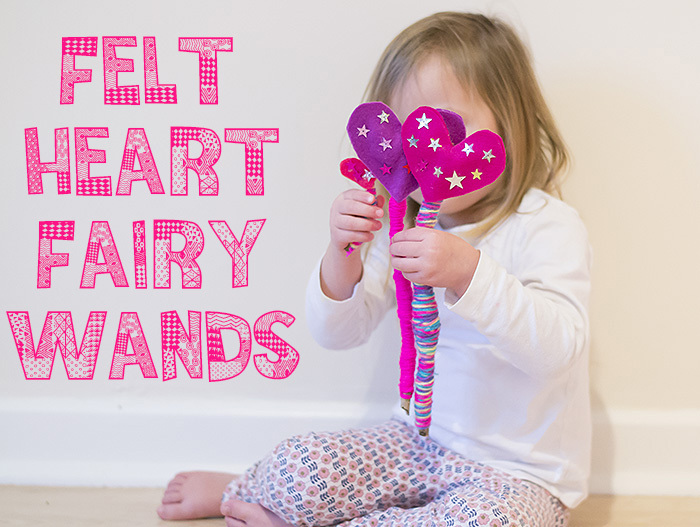 These fairy wands are super fun to make. Start by wrapping the yarn around the stick. 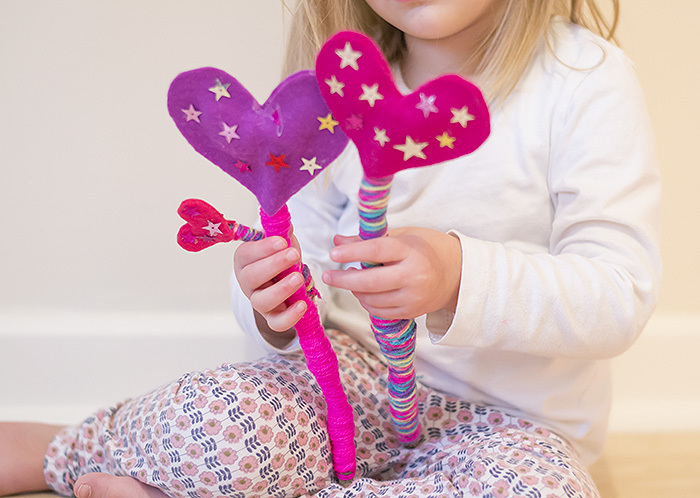 Then cut two heart shapes out of the felt and glue them together over the top of the stick. 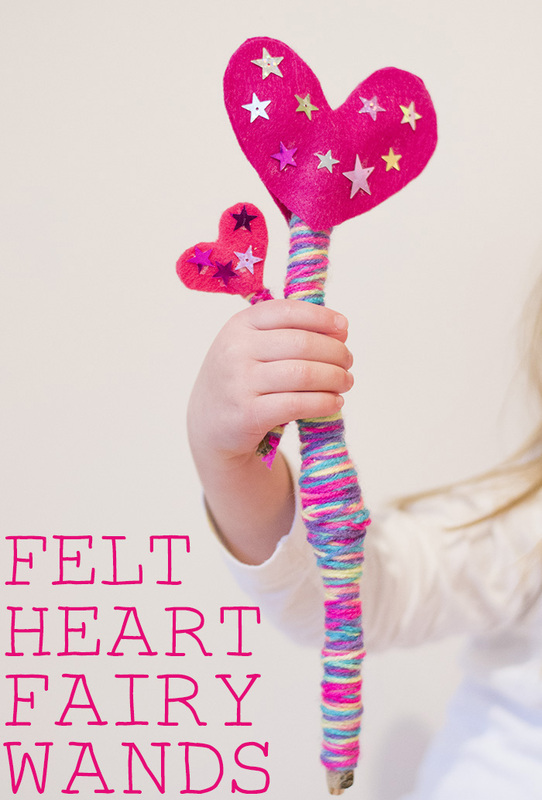 You could use any shape you like but Cherry loves hearts so that was what she opted for. Make sure you use a strong glue as PVA doesn’t hold the felt together. Then just glue the sequins on to decorate, you could also use glitter or even sew little beads on. To complete the look you could also make one of these gorgeous crowns by Flour On My Face and why not make your children’s toys some fairy wings too? 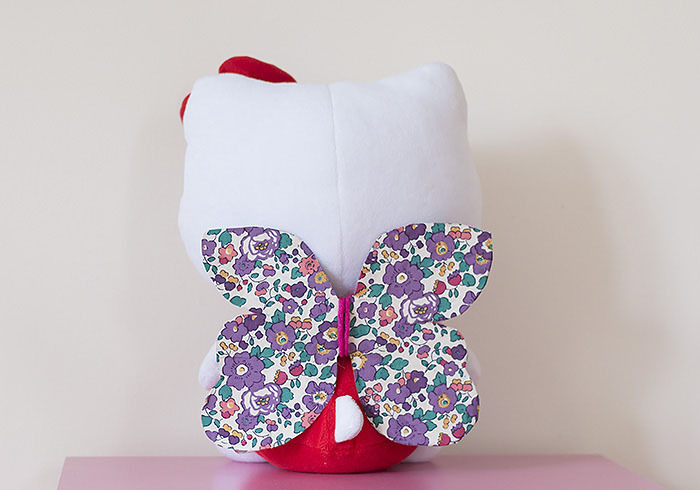 I always think it’s nice to make dressing up things for Cherry and Tiger, in actual fact I try to make most things as it’s so much cheaper than buying them. Especially when it comes to jewellery. Cherry is drawn to the kids jewelry section as soon as we go into the supermarket and I really resent paying for something that ends up lost under the sofa in a few days!